Santa needs savin' this yuletide. Christmas is coming to Sheffield city centre whether we like it or not. And we’re eager to get you out and making the very most that the city can offer more than ever this festive season. Whether getting the all-important shopping sorted, or celebrating another year with friends, Sheffield after 5pm really is bursting with activity. Each week in the run-up to the big day we’ll be solving Crimbo queries to help you navigate your way through what can be a pretty hectic time of year. Available from 1 December at The Great Escape Game Generation 2 (St. James Street), this is definitely not your usual catch-up with mates over a pint. 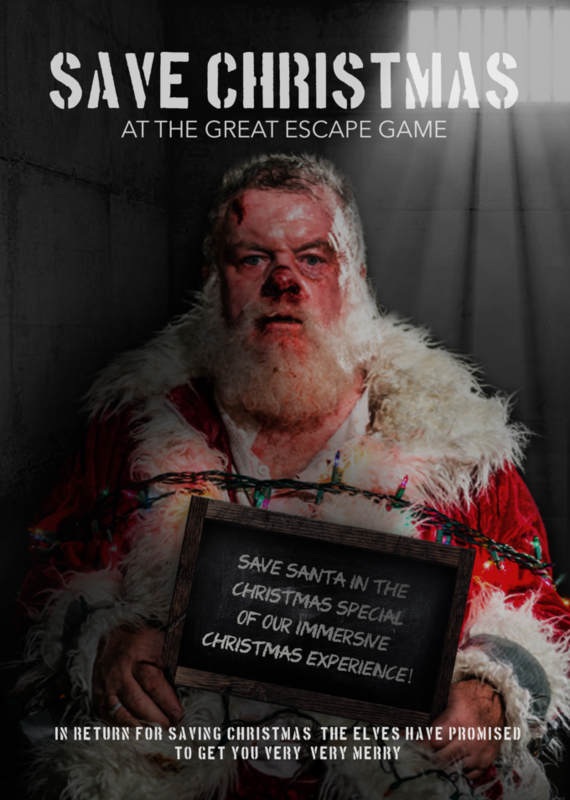 Picture this: for one night only, you’re in Lapland and on a mission to rescue Santa from his disgruntled elves. Gathering evidence to track down the big man himself, help save Christmas from ruin and get merry with the elves as you (hopefully) retrieve Santa from peril. Although priced at £30 per person, this interactive experience is definitely a fun way to switch things up. Without the dread of being scared out of your skin, this experience is a great way to test your friendships while also enjoying a number of themed cocktails along the way. Whether or not you believe in Father Christmas, we believe this’ll go down a treat with people who want to spice up their festivities and are a bit bored of going out for Christmas dinner (if you really want that roast turkey though, you can add a festive turkey cassoulet to the mix for and extra £12). Book your experience today. Want to find out about our other suggestions for alternative Christmas fun? Click away. Be sure to use #MerrilyFrom5 when tweeting us about any Sheffield city centre-related queries involving #SheffAfter5.